Creatika was produced as a response of the need to ignite our creativity in a natural way. The principle of Creatika is based on the premise that most of our best ideas come in while our mind is in a peaceful and yet active state. We blended inspirational music with Alpha Brainwave Technology in order to boost our creative potential in a natural way. Creatika is safe for all ages and well suited while listened trough a set of self-powered speakers. No spoken words are present in this sound session so you can focus your attention into the soothing harmonies. At home or in the office, Creatika gives you countless opportunities to brighten your mind while working on tasks requiring a high degree of creativity. Qwaves by HealingNoise is an unobtrusive soundscape that helps masking unpleasant background noise at home or in the office with a specially crafted combination of White Noise, Pink Noise and Aural sounds. Enjoy pure instrumental music without the semantic distraction of lyrical content. 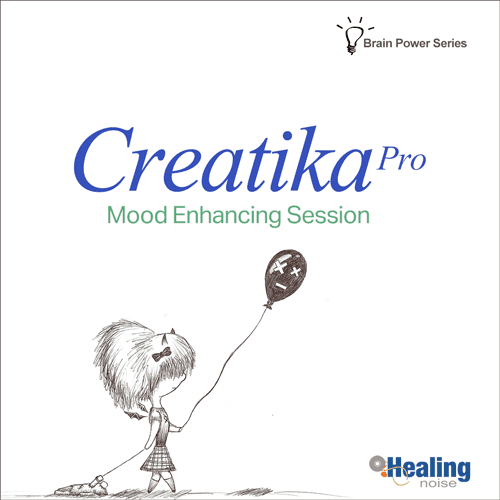 Creatika has been compiled with pristine audio quality to give you an easy listening and relaxing experience that is ready to delight your friends and family.